The Salt Made From Tears includes five different salts, each with its own bizarre origins. 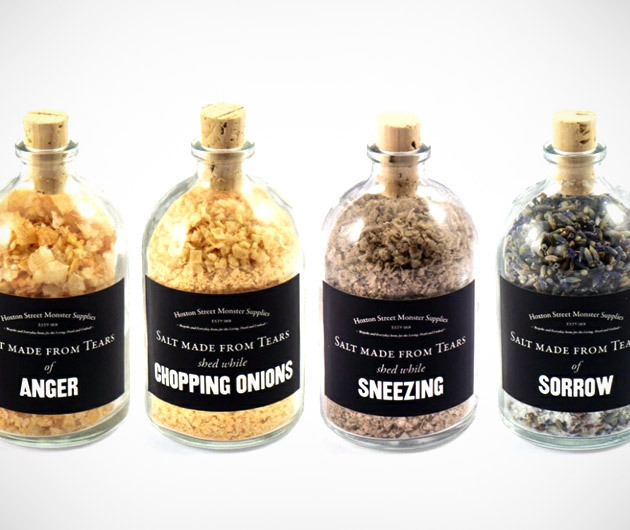 Gourmet chefs or oddities collectors with a taste for the unusual can choose from human tears derived from sorrow, anger, laughter, sneezing or chopping onions. The tears are collected, boiled and processed to crystallize the salt within them. The residual salts are then bottled and sold as part of the self-explanatory Salt Made From Tears.